10:42pm – Today’s diary sessions end with Nina. 9:55pm – Lolu and Cee-C are having a one on one conversation in the garden. 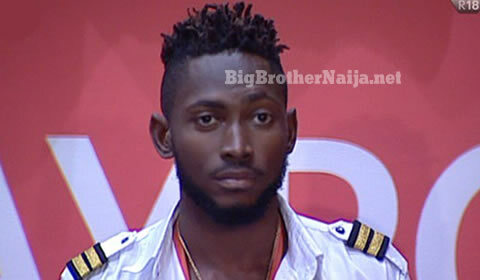 8:19pm – Today’s nominations kick off with Tobi. 7:30pm – Week 9’s live nomination show comes to and end. 7:00pm – This week’s live nomination show kicks off. 5:53pm – Rico Swavey is in the kitchen preparing the housemates’ meal. 5:50pm – Nina is washing dishes. 5:32pm – PayPorte delivers the housemates’ groceries and we all know how much they love food. 5:15pm – Tobi wins this week’s Head of House challenge thereby becoming the new Head of House. 4:55pm – Housemates are all gathered in the lounge opening and revealing what’s inside the chance envelopes they collected one at a time. 4:08pm – The housemates are hunting for chance envelopes in this week’s Head of House challenge. 3:59pm – Alex and Rico Swavey are having a one on one conversation on the bed. 3:34pm – Big Brother’s ninjas are hiding the chance envelopes in different place of the house. 3:17pm – Bambam tells Rico Swavey that she knows that he was hit hard by the fact that she chose Teddy A over him. 3:00pm – Out going Head of House Miracle reads out a task brief regarding this week’s Head of House challenge. 2:06pm – Big Brother asks all the housemates to move out of the house and close all the front doors and remain in the garden until further notice. 1:08pm – The housemates have all gathered into the lounge. 1:06pm – Big Brother orders all the housemates to close the front doors of the house and remain inside the house until further notice. 12:25pm – The housemates are in the garden playing the dice game. 12:16pm – The ninja finally exits the house. 12:12pm – Big Brother’s ninja, ‘Ninja Prime’ has entered the house with a digital camera and moved straight to the garden where the housemates are. He’s now taking pictures of the housemates are everything that interests him. 12:04pm – Teddy A is in the kitchen washing the plate he’s been eating on. 11:45am – The housemates are in the garden having a conversation. 11:18am – Cee-C and Lolu are in the garden having a conversation. 11:03am – Rico Swavey is in the kitchen preparing the housemates’ food like he usually does. 10:48am – Khloe is doing her makeup inside closet room. 10:40am – Rico Swavey is giving Lolu a hairdo inside the bedroom. 10:32am – Lolu is seated in the garden. 10:27am – Rico Swavey is giving Anto a hairdo in the closet room. 10:25am – Lolu is seated alone in the garden. 10:15am – Cee-C and Nina are doing laundry. 9:10am – Khloe is preparing noodles in the kitchen. 8:50am – The housemates’ morning workout session has ended and they’re back inside the house. 7:47am – The housemates are all in the garden ready for their routine morning workout session. 7:42am – The housemates are putting on their morning workout attire before they move to the garden for their morning workout session. 7:30am – The housemates wake up only to find returnees Khloe and Anto in the house. Good morning to you all and welcome to day 57 of Big Brother Nigeria Season 3, follow today’s Live Feed Blog for all the latest updates. You can as well check out yesterday’s highlights Here. 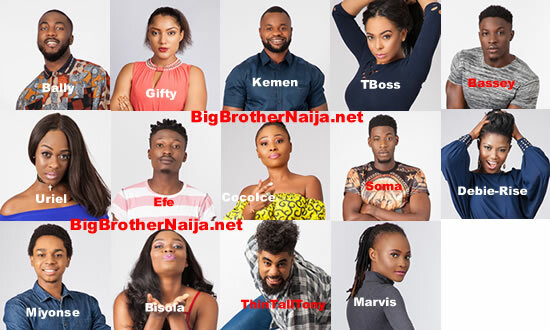 Who Was Your Favourite Big Brother Naija 2017 Housemate?